The five-passenger used Kia Sportage gives families the legroom, safety technology, and smartphone integration features they need for the long haul. How have these sporty crossovers changed over the years? Before you test-drive these peppy used models, check out our used buying guide. Why buy the fourth-generation used Kia Sportage? It’s a good pick for families who have places to go and people to see. Compared to previous models, this generation improves passenger space, especially for backseat passengers. On the highway, the Sportage does a good job of quenching wind and road noise, so there’s no need to shout. The latest generation of Sportages also improves cargo space. Fold down the rear seats to create up to 60 cubic feet of cargo space, making it easy to haul supplies. At the dealership, you’ll find three Sportage trim models: the entry-level LX, mid-range EX, and top-of-the-line SX Turbo. The LX and EX come standard with a thrifty four-cylinder engine, balancing a sporty performance with max EPA ratings of 23 city/30 highway mpg. In a used Sportage SX Turbo, you can take performance to the max, compliments of the model’s unique turbocharged 2.0-liter four-cylinder engine. It produces 240 horses and 260 pound-feet of torque for an athletic highway ride. No matter which used Kia Sportage you find on the lot, you can expect an impressive array of comfort and convenience features. The base LX supplies all the basics, from rear climate vents to a 5-inch infotainment touchscreen. 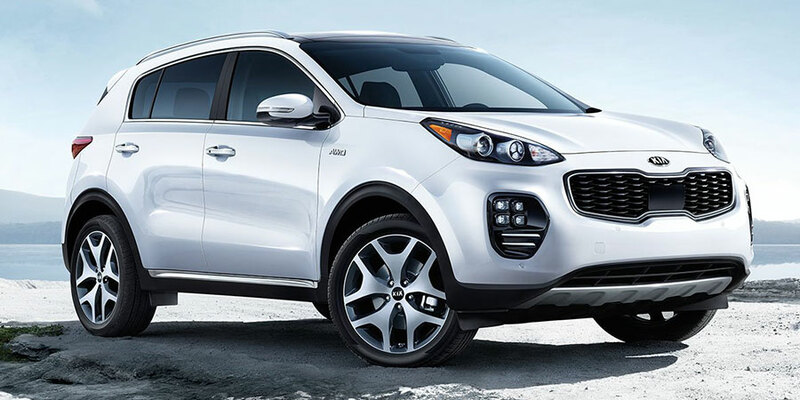 In the Sportage EX, you can step up your game. The touchscreen grows to 7 inches, making it easier to sort through menus. The infotainment also introduces complete smartphone integration, via Apple CarPlay and Android Auto capabilities. This technology displays smartphone apps on the central touchscreen, so you can use them without getting distracted from traffic. In the sporty SX Turbo, you’ll enjoy increased speed via the aforementioned turbocharged engine. But this model also enhances interior style, with a panoramic sunroof, ventilated front seats, and a navigation system. The Harman Kardon premium audio system is another nice touch, making you feel like you’ve spent big on a luxury crossover. 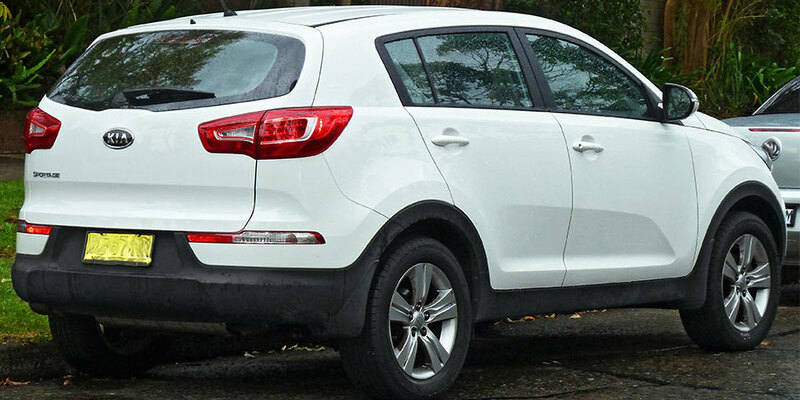 What changes did Kia make to the Sportage during this generation? There haven’t been any major alterations just yet. Check back for updates as this generation soldiers on through the model years. Why buy the third-generation used Kia Sportage? This generation of compact crossover SUVs gives buyers the modern features they crave at a great price. Starting with the mid-grade Sportage EX, you’ll enjoy complete smartphone integration with Apple CarPlay and Android Auto. This technology displays apps like Music and Maps on the Sportage’s 7-inch touchscreen, creating a safer way to stay connected. If you’re lucky enough to find the used Kia Sportage SX Turbo at your local dealership, you’ll also enjoy a long list of driver safety aids and tech upgrades. These include forward collision mitigation with emergency braking, which actively helps you avoid accidents. The top-trim used Kia Sportage also introduces a new level of luxury, thanks to its ventilated front seats and premium Harman Kardon audio system. Starting with the 2012 model, the Sportage offers a quieter, more responsive ride. This model also introduced the new UVO infotainment voice-activation system, so drivers can interact with music settings and phone options without looking away from the road.